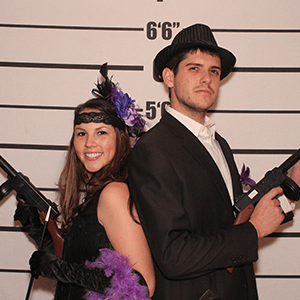 When you team up with The Murder Mystery Co. in Orlando you can be sure that your private event will be totally killer! Our trained performers are the perfect way to take your party to the next level, no matter what the occasion! 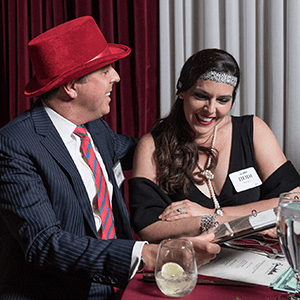 Live-action murder mystery parties are Orlando's most unique and engaging way to entertain for privately hosted events. The Murder Mystery Company is Orlando’s Expert in Mystery Entertainment. Even sunny Orlando, Florida has a dark side, and you’ve found it with The Murder Mystery Company! We provide expert entertainment that is always fun, and never boring. For any event, of any size, in any location, we have the perfect show! 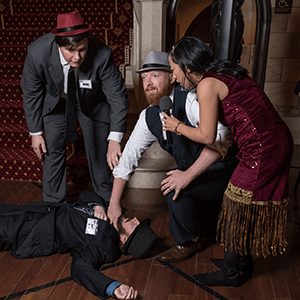 Our professionally trained performers are sure to thrill as they take your guests on an adventure of mystery, intrigue, and murder. 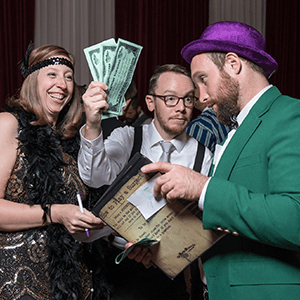 Florida has been nothing short of enthusiastic about solving crimes with The Murder Mystery Company, so it was no surprise when we came to Orlando and immediately started making mysteries for your private events! 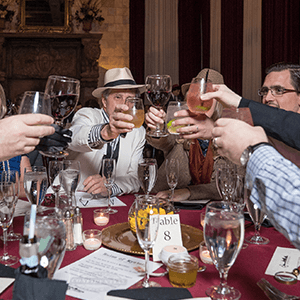 Our mystery experts have had great success in over 24 states with 45 public show venues, and over 300,000 guests each year, and now we get to bring mystery to our favorite Floridians! We love our Orlando detectives! Jenifer Davis is the Director of our frightfully fun mystery troupe in Orlando! Her favorite things are mystery, intrigue, and - you guessed it - murder! 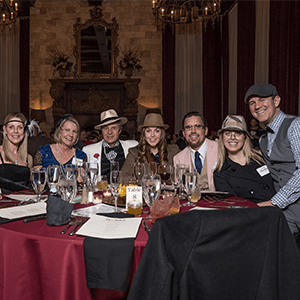 Jenifer and her troupe of mystery experts are trained with the GRIMprov Method of acting training, so you can be sure you get nothing but the very BEST in mystery entertainment at your upcoming private event with them! Get ready to sleuth the night away, Orlando!